Site Centered Historical Maps-Ordnance Survey Popular Edition | Map Stop | Top maps at a reasonable price in one place. 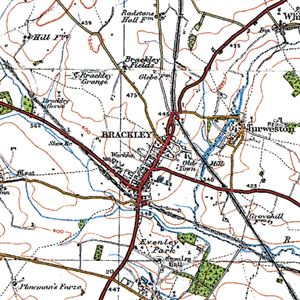 The original Ordnance Survey Popular Edition series was conceived before, but published just after, the First World War. 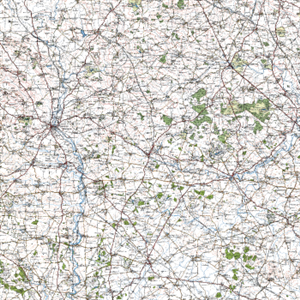 This was the first of Ordnance Survey’s series to be conceived from the outset as a mass-market product, and the first to be produced in full colour. The new technology was put to the test in catering for a wholly new market. If the railways were the transport revolution of the 19th century, the motor car was certainly that of the 20th. The new mapping series had to reflect this. For the first time the gradations of the road network were described, with each route being coloured according to its suitability or otherwise for motor traffic. Twenty times more vehicles were registered in the UK in 1929 compared to 20 years earlier, and many of those who could not afford (or did not dare) to use a car cycled instead. Increased leisure time and rising prosperity fuelled a demand for travel. As a result, accurate, relevant and up to date maps were needed. The Popular Edition provided them. The Popular Edition maps show England & Wales on the threshold great change. The roads were threatening the railways, the suburbs were drawing people from the inner cities. Beyond the built-up areas, villages were turning into small towns, often with nearby parks and woods for recreation, while golf courses were in some areas starting to outnumber farms. Although there was still much open countryside containing many reminders of its past, England & Wales was increasingly dominated by the large urban areas and the roads that connected them. High ground was now represented by contours rather than artistic hachuring; more accurate, less intrusive and more relevant to a society that was now less reliant on travel by horse and cart or on foot. These fascinating maps captures the point at which the motor car began to define not only the landscape but also the way it which map-makers represented it. If you wish to order your map now, select your 'pack size' and click 'Add to Basket' and follow the instructions. We will then call you to discuss your map to make sure we meet your requirement. If you have any questions, feel free to call 01280 840770 01280 840770 or use the Chat box on the left.